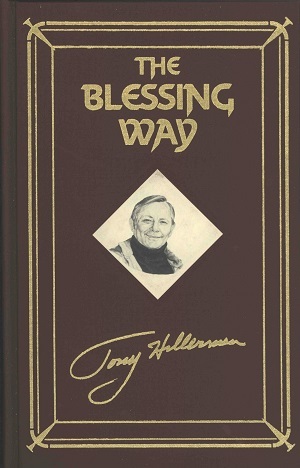 This is the limited run collector's edition of The Blessing Way, published by The Armchair Detective Library in New York City, NY. This hardcover edition was issued in 1990 as part of the Armchair Detective Library series with a special 2 page introduction written by Tony Hillerman. In addition to the this collector's edition, a standard commercial edition and commemorative edition were also produced. For this limited run collector's edition only 100 numbered copies were produced. These were bound in maroon cloth with gold lettering on the spine and a sepia tone portrait photograph of Tony Hillerman on the front cover; it included a matching maroon clothbound case for the book. In addition each book contains an extra page indicating its limited run number with an autograph from Tony Hillerman.